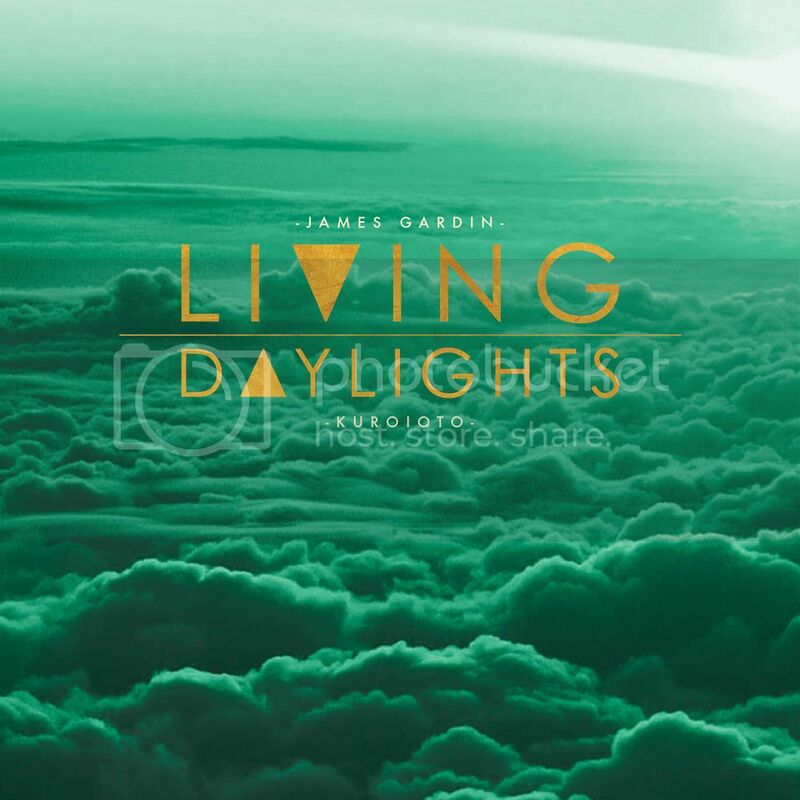 Michigan native James Gardin released his debut album, Living Daylights, on March 31st. He adds a little R&B and jazz flavor to his music to keep a more retro style of sound. The album only features 8 tracks, but it’s often quality over quantity, and Gardin does a great job with the tracks he does have. Starting the album off with a fun style, “Problems” really has a great flow. Gardin creates an upbeat sound with some cool rapping. The quick start and stops of the beat are really well placed throughout the song to keep it interesting. The refrain is pretty catchy as well. He’s talking about all the problems he’s got in life, but he is just going to keep going through them. The high pitch background noise gets a little annoying after a while, but it isn’t enough to throw off this great track. Another upbeat track comes next in “No One”. The retro feel is definitely on high gear in this one, and it works extremely well. The rapping verses mesh extremely well with the beat and sound in general. The positive message of being yourself is expressed very well through the cool refrain, but my personal favorite line made me laugh, “We’re all beautiful, You never see a unicorn trying to be a sea horse, ‘cause a unicorn is a unicorn, and a sea horse is a sea horse”. Joking aside, the track pushes the message of being you in a fun and awesome way. “Gold” pulls in a bit of R&B flair as Gardin talks about his mom. It’s another positive song as he says, “she’s got a soul of gold”. Gardin illustrates his love for his mom beautifully in the track. The piano and heavier use of treble work well with the song’s tone, and Gardin’s raps flow well with the beat. There’s a variety of sound throughout the song which keeps it very interesting, and it all comes together for a great track. The next track, “City Limits” (feat. L05), is about Gardin breaking away from his safe zone in his city. The rapping is pretty well done in the track, but the long pauses of no beat take away from it as Gardin doesn’t have a powerful style that fills the void. The track also relies too much on treble with not enough bass, causing the same problem as the pauses of no beat. Gardin’s first voice does sound very cool overall though, and it’s still a pretty good track. You can get a little taste of jazz in “Freedom” (feat. Sareem Poems and Red Pill) that makes the song unique. The fun beat along with the use of the saxophone and background singers create a great base for the track. The refrain is really cool and catchy as well. The features add a variety of rapping sounds, keeping the track interesting throughout. This is a track I’ll have on repeat for a while, it’s just too dang catchy. The albums final track “Good Bad” (feat. Rafael) ends the track off on a great note. The track continues the theme of being yourself, “There’ll never be another you, so let your light shine, Don’t let these haters smother you”. The lyrics of the track are awesomely positive, and Gardin raps them extremely well. There’s just enough bass to compliment the rapping, and it all meshes perfectly. This one’s definitely finding a spot on my playlist. You never know where an artist is going to go with their debut, but James Gardin definitely rose to the challenge. The album has an awesome and fun overall flow on top of the positive message. There are a few switch-ups in sound throughout the album that keep it interesting while still sounding great. Be you, that’s the message of Living Daylights, and Gardin shows he can sound good while being him. I definitely recommend grabbing this album. Living Daylights is available for sale on iTunes and other digital retailers.